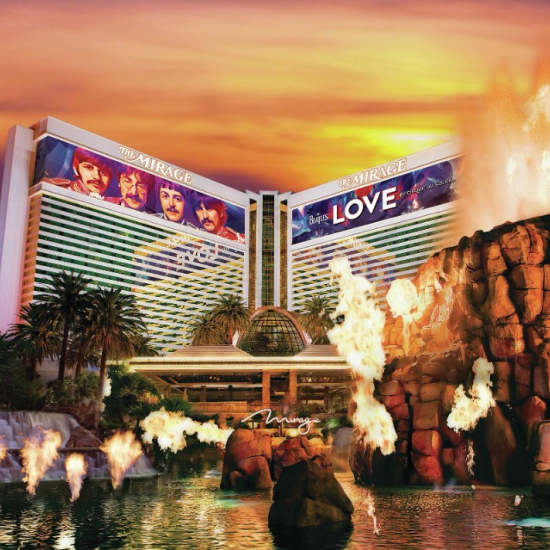 The Mirage is the original Vegas mega-resort, a Four Diamond award-winner located center-Strip with its iconic volcano welcoming you to a paradise of 24-hour action. Upgrade your dream stay, book dinner and show packages, buy show tickets, and earn M life rewards with every trip to Las Vegas at The Mirage Resort. Please click the name of the department you would like to reach to initiate an email. Please note that our staff responds to e-mail inquiries from 8:00 a.m. - 5:00 p.m. Monday-Friday PST (excluding holidays). Allow 3 to 4 business days for a response during normal business hours. For questions regarding Room Reservations please call 702.791.7444. If you require immediate assistance, please contact The Mirage Hotel Operator at 702.791.7111. Valid on 5-9 rooms. Call 855.554.5004 or 702.692.9494. Upon exiting McCarran Airport follow the signs onto SWENSON ROAD (northerly direction). Turn left onto Harmon Avenue. Take the 1st right onto Paradise Road. Turn left onto Sands Ave. Turn left onto Las Vegas Blvd. The Mirage Hotel & Casino will be on the right. From I-15 Northbound, take the Spring Mountain Road exit (Exit 39). Continue onto Spring Mountain Road and turn right onto Las Vegas Boulevard. The Mirage Hotel and Casino will be on your right. From I-15 Southbound, take the Spring Mountain Road exit (Exit 39). Continue onto Spring Mountain Road and turn right onto Las Vegas Boulevard. The Mirage Hotel and Casino will be on your right.